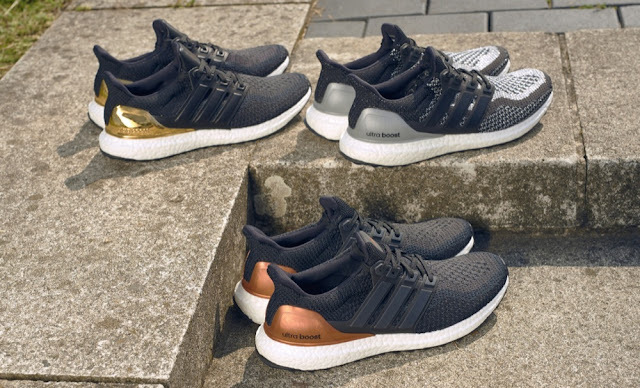 Iconic UltraBOOST running shoe is given premium feel with a series of metallic styling’s - Shoes feature gold, silver and bronze detailing added to stylish black design. adidas has recently unveiled three unique limited edition versions of its leading UltraBOOST running shoe with the launch of the Metallic Pack. The limited edition shoes are already available via adidas.com and select retailers for P8,995. Join the adidas Energy running movement by following @adidasrunning on Twitter and Instagram using #UltraBOOST.